The Singapore developers under our coverage have all delivered negative total returns YTD. Looking ahead, our analysis of demand and supply drivers for the Singapore residential sector leads us to be cautious on the outlook for 2019, especially for the first half. immigration policies to remain tight. However, there are also positive demand drivers to look forward to. These include a stable resident household formation and wage growth, redeployment of proceeds from collective sales, and increased pool of demand from HDB upgraders. On the supply front, we believe physical supply pressures are not immediate, but could pose a risk in the medium term. Unsold inventory levels are also rising (31.9k units in 3Q18) and are now a tad below the long-term average levels. We believe one of the key risks to Singapore developers in 2019 would be the potential deluge of new project launches. We estimate that there may be close to 20k private residential units (excluding ECs) which could be released to the market, of which the bulk may be launched in 1H19. Some of these may not materialise due to delays and launches being carried out in phases over more than a year, especially for the projects with more than 1k units. Given the aforementioned factors, we expect private residential price growth to come in near the low-end of our 8%-10% forecast for 2018. Moving into 2019, we are projecting price growth to range between -3% to +2%, as slower economic growth and the deluge of new launches may act as a dampener on home prices. For private transaction sales volumes, we project 8k- 10k units for 2018, and 10k-12k for 2019. Notwithstanding our cautious near-term outlook on the Singapore residential sector, we do believe valuations for Singapore developers are cheap, given that the FTSE ST Real Estate Holding & Development Index is trading at a forward P/B ratio of 0.53x, which is 1.7 standard deviations below its 10-year average of 0.78x. However, we opt to maintain NEUTRAL on the Singapore residential sector, given the near-term challenges, and would prefer to position our calls for the longer-term. 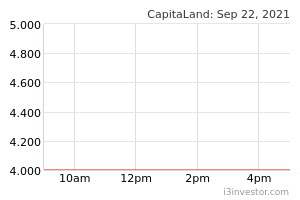 Our preferred sector picks are UOL [BUY; FV: S$8.41] and CapitaLand (CAPL SP) [BUY; FV: S$3.96]. 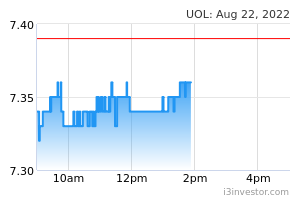 We believe UOL’s valuations are attractive given that it is trading at a deep RNAV discount of 51.3%, while we also like its strong investment properties portfolio. For CapitaLand, we believe it will benefit from the progress between the U.S. and China to ameliorate their trade differences, and also like its capital recycling initiatives to unlock value for its shareholders.